WITH round five upon us there have been plenty of changes across the board with the AFLW Academy playing Geelong in a practice match on Tuesday. The Geelong Falcons, Northern Knights and Eastern Ranges will be looking to keep their undefeated record intact while the Western Jets and Dandenong Stingrays will be searching for their first win of the 2018 season. Though many teams have been forced to make changes through losing players to the AFLW Academy, it will allow plenty of new and young talent to shine in the upcoming matches. The Western Jets and Eastern Ranges are set to kick off the round in Williamstown with the Ranges looking to continue their undefeated run. On the other hand, the Jets will be hoping to notch up their first win of the season, making seven changes to their line-up. With the likes of co-captain Emerson Woods and fellow midfielder Olivia Meagher out for the match, the Eastern Ranges will be relying on their depth to get them across the line against the Jets. The absence of Ranges defender Abbey Tognazzini and Ashleigh Allsopp will test their strength down back as they are key players for their team, but the inclusion of Sophia Zappia will provide some much needed composure. For the Jets, the loss of forward Isabella Grant will be hard to replace as she provides some good dash across the field and uses the footy well. Grant was one of seven changes for the Western Jets who have named the likes of Katarina Rebuffo, Eden Cassar, Emily Hannett and Chelsea Jansen to take on the undefeated Eastern Ranges. After a gallant effort last week against the Eastern Ranges, the Bendigo Pioneers will be hoping to bring their impressive form into round five. They were sound in defence but were ultimately outclassed by their undefeated opponents. The Power however fought hard to secure a three-point win against Calder, resulting in minimal changes to the team’s line-up. The Pioneers go in unchanged after their strong performance last week with the likes of Kate Douglass and Megan Williamson proving their worth with their impressive work across the ground. On the other hand, Gippsland Power have made five changes, with star midfielders Tyla Hanks and Leyla Berry unavailable for the game. 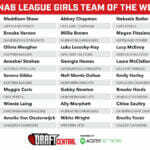 The likes of fellow teammates Jazz Ferguson and Alana Rippon will have to stand up in the contest. The Power have included Charlize Bird, Tahlia Dower and Leila Raymond in their squad for their trip to Epsom. With the Knights sitting second on the ladder they will be hoping to continue their red-hot form, even though they have had to ring through the changes. 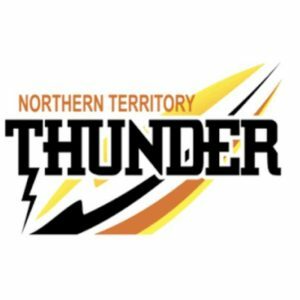 The Northern Knights were forced to make five changes due to the AFLW Academy game taking place. Meanwhile the Oakleigh Chargers have named a huge extended list after losing three players to the Academy game. The Northern Knights will be set to take on the Chargers without Jessica Fitzgerald, who has been a standout for them throughout the first four rounds. Though the Knights are filled with midfield power with the likes of Maddy Brancatisano and Alyssa Bennett, they will be missing Gabby Newton who is a huge force in the ruck and can make her presence felt all over the ground. The Northern Knights have brought in Sarah Sansonetti who provides a good target up forward. The Chargers have lost Hannah McLaren, who is a key up forward for them along with Gemma Lagioia, who is so important through the middle of the ground. Both were involved in a head clash in the first quarter of their round four clash against Geelong. The Chargers have their absence covered though, bringing in Katie Lynch, Daisy Bateman and Melanie Bertuna, who are some of Oakleigh’s most dominant players. The Dandenong Stingrays will be looking to notch up their first win of the season against the Greater Western Victorian Rebels (GWV) in Epsom. The Stingrays may be a bit deflated after another loss last week but will be hoping the changes will bring around some good fortune. The Rebels on the other hand will be hoping to get back into the winning books and claim their second victory for the season. After another loss, Dandenong have not shied away from the changes, making six changes to their line-up. The Stingrays will be without Lauree Metcalfe and defender Courtney Jones who provides some strength down back. In to replace Jones is Jenna George who will have her hands full in defence. After her short return for the Rebels, classy midfielder Sophie Van De Heuvel will be unavailable for selection leaving it up to the likes of teammates Nyakoat Dojiok and Denver Henson to compete in the midfield. Van De Heuvel is just one of four changes for GWV with Alyssa Humphries and Tess Heath set to come into the side for the likes of Rene Caris and Georgia Clarke. Sandringham will be looking to take advantage of its home ground and secure its third win of the season, while the Calder Cannons will be searching to claim their second victory. The Cannons have named an extended squad with two notable outs for the team, while Sandringham has only made a few changes for the clash on Sunday. The Dragons have brought in a relatively unchanged line-up after last week’s strong win against the Stingrays. Sarah Hartwig stood up in defence in round four, showing her ability to tackle well and take important grabs. This will be needed again this week as Sandringham will be without Taylah Grasso and Grace Bridges who are key members of the Dragons backline. Meanwhile, Daisy Walker, Margie Purcell and Chloe Saultry have been named in the squad. 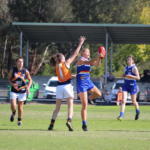 The Calder Cannons have made a few changes going into round five with the likes of Madison Prepakis and Georgia Patrikios lost to the AFLW Academy game. Molly Warburton (also in the Academy) will be missed down in in defence for the Cannons as she provides strength and composure. In their extended squad the Cannons have named Makeisha Muller to start at half-forward while Laura Cocomello and Ashton Driscoll are expected to play. The final game of the round could shape up to be one of the best spectacles for round five, as both teams will be evenly poised with quality players being absent for both teams. With huge outs in the midfield such as Rebecca Webster for the Bushrangers and Olivia Purcell for the Falcons, it will be a battle to see who can win the contested ball. 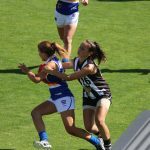 The Murray Bushrangers have been forced to make six changes to their line-up, losing star midfielder Rebecca Webster and Eloise Ashley-Cooper, who is important across the ground for the Bushrangers. Millie Brown will also be a big loss to Murray as she provides a good target up forward. 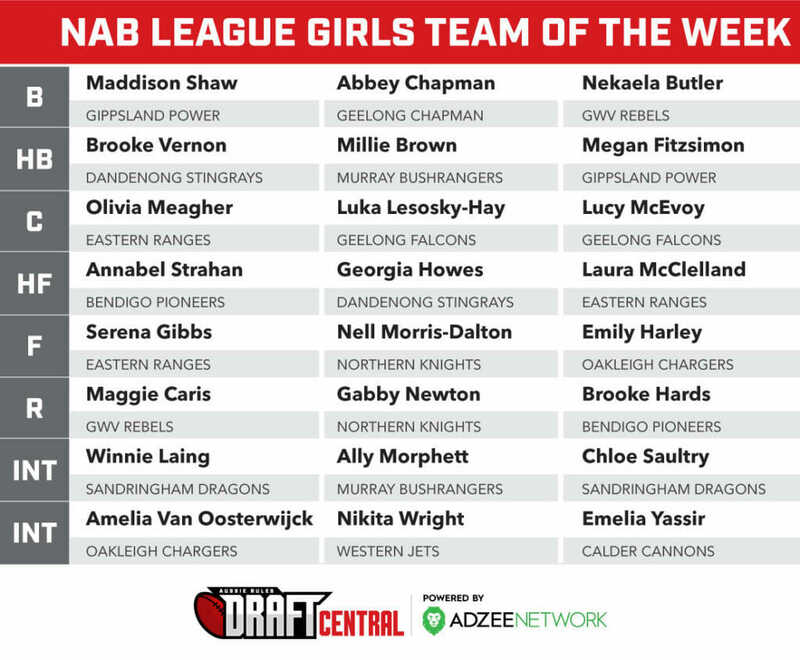 But the Bushrangers have brought in the likes of Kate Adams to fill the void of Ashley-Cooper and Mikayla Jones up forward for Millie Brown. For the Falcons they have brought in Mia Skinner to help provide a target up forward. It will be hard to replace the class of Olivia Purcell and Nina Morrison in and around the contest, who provide clean hands around the footy and use the ball well.